Life since launching our first Colony location a year ago has been… a blur. Days merge into weeks into months and suddenly it’s been two years since my last facial wtf. I understand the importance of facials, but when I only have a limited time for uh self preservation, I almost always choose to do my hair. It’s because I really cannot stand bad hair and when I’m at the hair salon I can bring my laptop and phone and still do something else while waiting. Still productive! Facial I have to close my eyes and not move hahahaha. 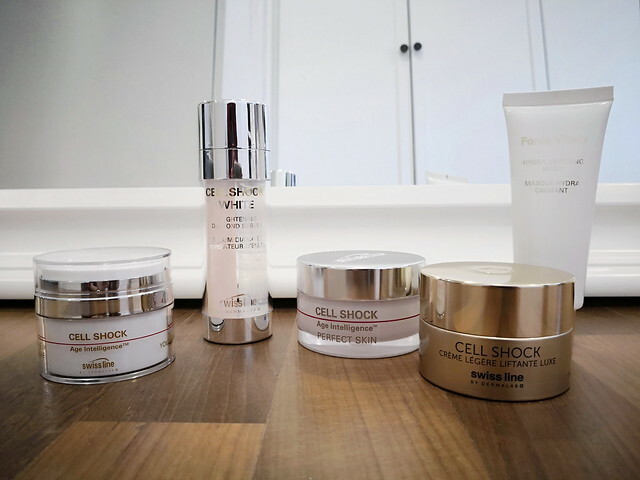 I ran out of some of my favorite Swissline products – Cell Shock Total-Lift Light Cream, which I use for a day moisturizer, and my favorite Cell Shock White Diamond Brightening Serum. Every time I do a facial I tell myself I must go more often cos it’s such a nice respite from the daily grind and I always enjoy it (but then reality is I rarely go wtf). 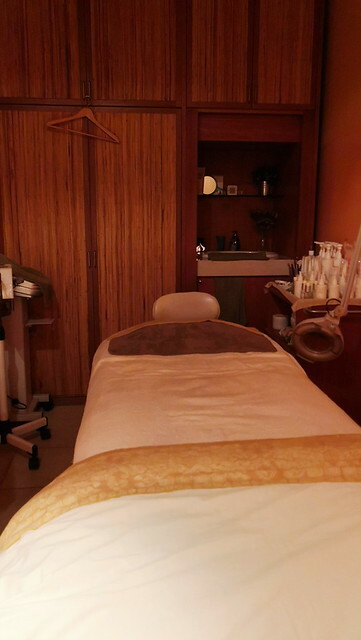 What’s not to love – perfect ambience and temperature for sleeping, a comfy bed, and someone pampering you. 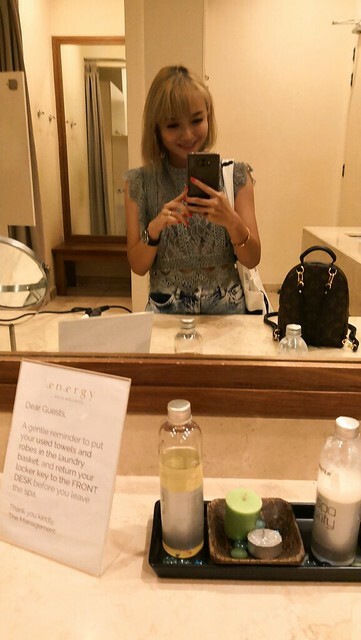 EDS gives the whole proper spa experience too – from changing rooms filled with amenities, to a lounge area with hot tea waiting before and after treatment. My face in all its bare naked glory. I got 99 problems and my face is one of them LOL. 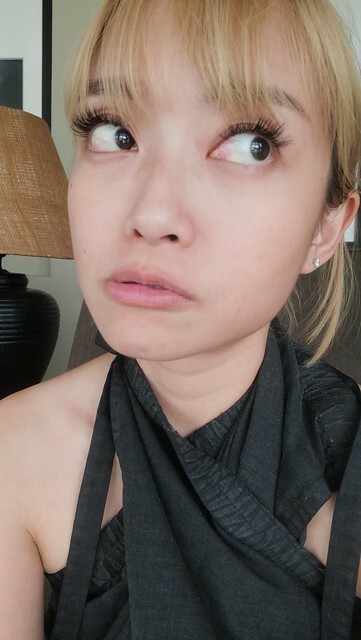 Um… nothing super bad la to be honest but the usual – fine lines, dark eye circles, redness and uneven skin tone. And then hor two beauticians already told me I have a mustache WTF HAHAHAHA. I don’t think it’s obvious also everyone has fuzz on their faces what! But ok noted I will laser it off wtf. No photos of the facial cos my eyes were closed but I had the Triple Action Exfoliation facial. Ninety minutes of relaxation. The cool thing about this is that instead of traditional exfoliation, my beautician applied the Desincrusting Treatment to ease my whiteheads and blackheads out. When it came time for her to squeeze all the nasty gunk out, she did so so gently it didn’t even feel like exfoliation! The second the facial was over, I patted my face, curious to see the difference. Not only did it feel extra moisturized and more supple, it felt firmer. My flesh felt like it had tightened up. I hoped my face would become smaller hahahaha but I couldn’t really see a difference in the mirror la. I definitely felt a difference though. Also stocked up on my Swissline products; here’s my full skincare range! 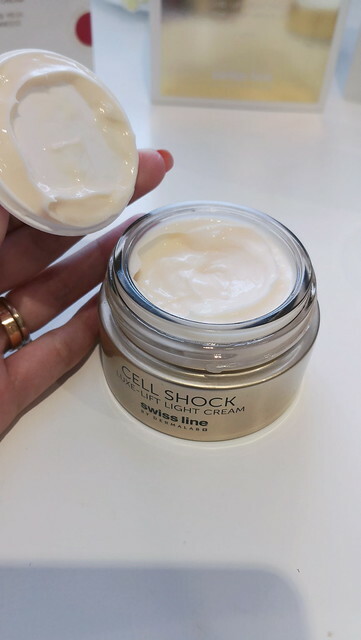 I’d been using the Cell Shock Total Lift Light Cream before, but I’m replenishing my supply with the Luxe-Lift Light Cream, a new, improved version. My initial thought was that the packaging is really more luxe! Hahaha. I love the gold glass jar it comes in, and the texture of the cream is light and smooth. It’s for combination to oily skin. 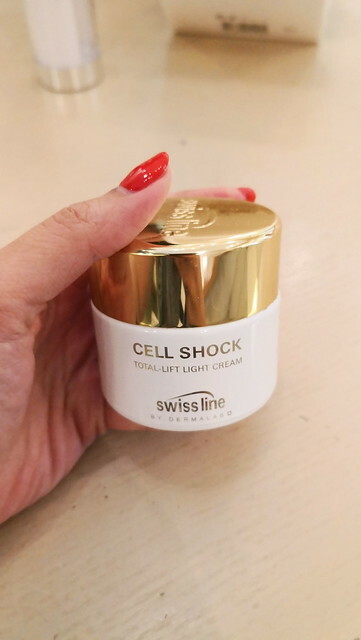 I prefer something heavier for night and lighter for day so this cream slots in perfectly in my morning routine. Its benefits include lifting skin, revitalizing and reducing the appearance of lines and wrinkles. I normally gently massage the cream into my skin in circular motions and it absorbs well. ^^ I can’t see any ‘visible lifting’ to be honest, but my face does feel slightly firmer after application too. :))) Ok la good la don’t let my skin sag so early ok tolong boh pi. I use a LOT of different products, being lucky enough to be given and sponsored beauty items. But Swissline is one of the very few brands whose products I will make repeated purchases of. 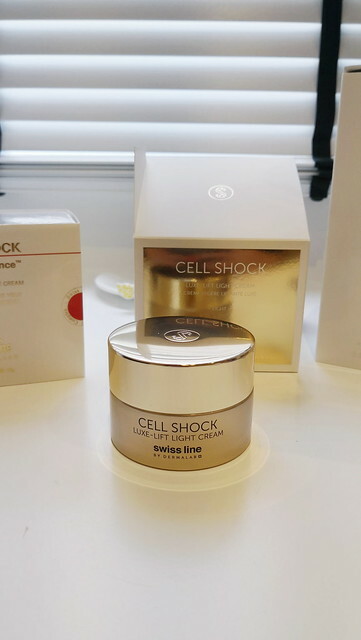 This blog post is a collaboration with Swissline but my honest review of their products is that they work. I haven’t used the Luxe-Lift cream long enough, but the other products I’ve used have made a significant difference to my skin. Like the Diamond Serum… to a point when friends started asking me what I did cos my skin became even and glowy – and I wasn’t even wearing foundation, just sunblock! So if you do have the budget for it, I really recommend giving Swissline a try. Available at Energy Day Spa in Great Eastern Mall. This blog post was written in collaboration with Swissline.